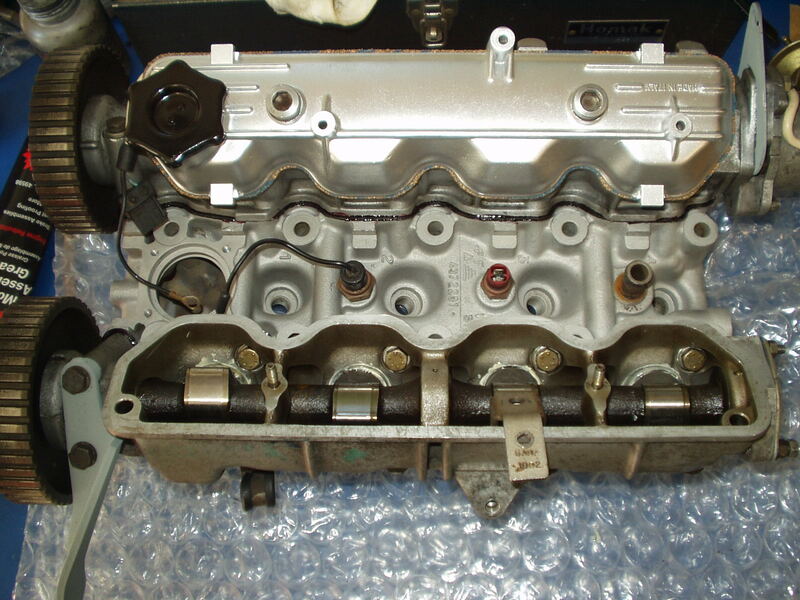 The Car was running rough when I bought it and I was able to diagnose the problem as being a bad valve. I pulled the head and shipped it to Jon Logan at Midwest 124 in Columbus to be rebuilt. Jon really does good work. Here's a photo of the business end of the rebuilt head. 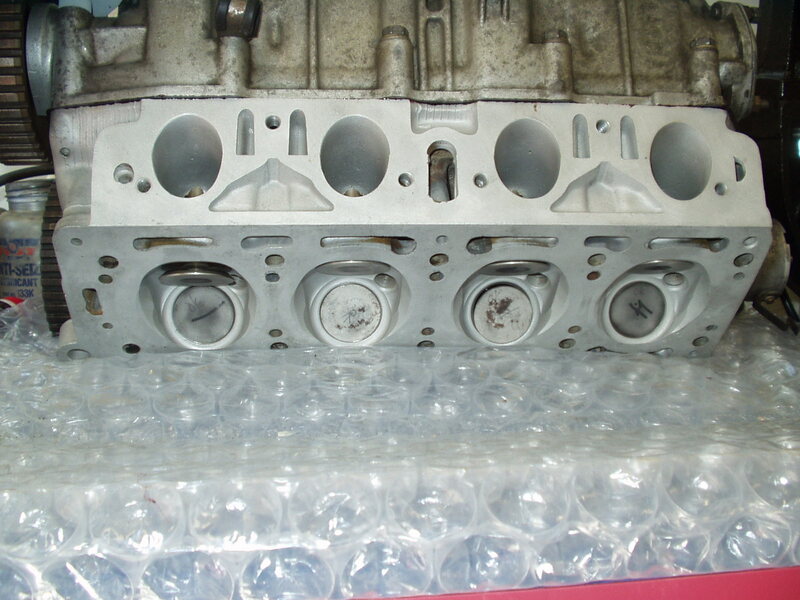 This is a photo of the head after I installed the cam boxes and am in the process of setting the valve clearance. . While I had the head out I replaced the high pressure power steering hose (that doesn't sound like much but it was a real PITA to do). 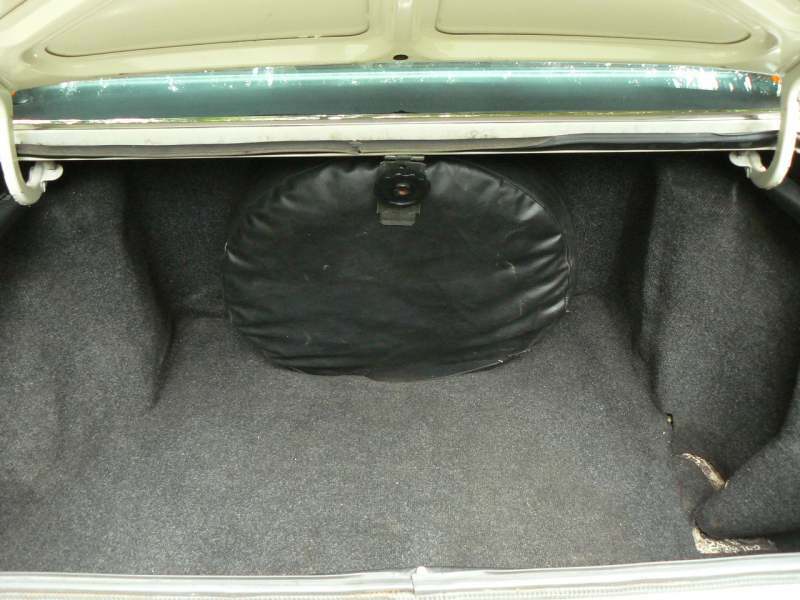 The trunk has a full sized spare tire (on a Lancia alloy wheel) complete with the OEM spare tire cover.